Being injured is no fun at all, especially when whatever’s getting you down could have been avoided. When you’re injured, at best you’re going to be scaling WODs, at worst, you could be out completely for weeks or months at a time. And the kinds of injuries we see time and again in CrossFit, are ones which can, as mentioned, be avoided with a little bit preparation, common sense and the right warm up. Take a look at five of the most common CrossFit injuries, and equip yourself with the knowledge to avoid falling prey to them. It’s not super difficult, and what we’re talking about here could even improve your technique and help you get more out of your workouts and strength movements. The injury itself — what is it? What causes it? Lower back injuries are probably the most common injury seen in CrossFit boxes all over the world. A large part of the problem lies in the fact that most of us spend the majority of our days sitting, or at least, not moving a whole lot. Then, when we come to WOD and lift, our backs just aren’t ready or strong enough to cope with what we’re asking of them. Whether it’s tightness on one side or both, or a pulled muscle, lower back problems are a major setback for a lot of people. The first and most important thing to do to avoid any sort of injury or tightness, is to warm up properly, and stretch regularly. If you’re someone who spends a lot of time sitting, then a quick ten minute warm up before the WOD probably isn’t going to cut it. You need to be stretching your lower back throughout the day, and ideally, getting into it with something like a foam roller. It’s worth noting, too, that the problem in your lower back might not actually be caused by your lower back. Tight hips can pull your lower back out of its proper alignment, putting strain on it and leading to pain and injury. Knee pain is another common injury that plagues many CrossFitters, pro and recreational alike. There can be a ton of causes for knee pain, from genetically poor joints, to bad mechanics. Most often, it’s down to poor movement patterns, learned over a long time. If you squat with your knees in a poor position —check Kelly Starrett for good technique— then you’re overloading your joints and are almost bound to develop an injury. The fix for knee pain is mostly rooted in rest, and then lots of rehabilitation and hard work to get you moving in ways that are safer and more effective. Warm pads and knee sleeves are another great way to lend some support to your knees before and during workouts and lifting, too. 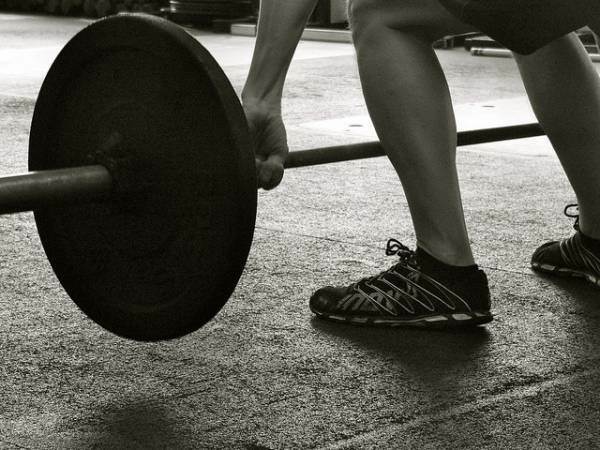 Also, if you don’t lift with oly shoes, give it a try, and see if it takes some of the strain off of that joint. Your shoulder is an incredibly strong and complex joint. It moves in all directions, and in CrossFit, we load our shoulders in all sort of weird and wonderful ways. Not properly warming up your shoulders is a recipe for disaster. The most common reasons shoulders get injured, involve people overloading them and moving them in funky ways without properly warming up. Shrugging a loaded barbell from the floor to some dynamic angle with shoulders that aren’t ready, is an accident waiting to happen. How much typing do you do every day? A fair bit, probably. Your wrists are strong, but relatively small joints, and asking them to bear the kinds of loads we experience in CrossFit is a big ask. It’s not uncommon to ask your wrists to support at least half your bodyweight on a daily WOD basis, and throwing that weight on top of them without any warning is going to lead to some serious trouble. The fix is much the same as everything else: warm up and support. Move your wrists in circles before you do anything. Just get the moving. Then, press them into the floor or a wall, in both directions, working up to about a minute on either side. Never go straight to a loaded barbell, always start with an empty bar, and if you have wrist wraps, wear them. Here’s one we know all about. Pain in the calves, cramping and general tightness can play havoc with your double-unders and your squats. Calf pain can lead to overcompensation elsewhere, which can manifest as pain in your legs, hips and back. There shouldn’t be any real reason why your calves are naturally tight, and they’re probably tight because you’ve been working them, and have neglected to stretch them before and after the WOD. A simple runner’s stretch against a wall can do wonders for your calves, and one of the best mobility tools you can use is a floss band. Just wrap it around your calf and try to move the leg in as many different ways as possible, effectively massaging the muscle as you go. Use a foam roller to cover the calf as a whole, and a tennis ball to get into those cranky bits. Most CrossFit injuries can be avoided with some preparation and time spent warming up and stretching. If you don’t have the time or the patience for it, then injuries are going to find you. Take this stuff seriously, and you’ll enjoy yourself a whole lot more. Were these tips helpful? Share with a friend on Facebook and let’s keep each other safe and moving.